Thirsty Pilgrim: Don't Hasselt Me, Bro. And, the Updated Belgian Beer Fest Calendar. Don't Hasselt Me, Bro. And, the Updated Belgian Beer Fest Calendar. Many thanks, as usual, to Paul Briggs for the latest version of his Belgian Beer Festival Calendar. This one includes a few for 2011 and a few new ones for 2010. Have a look and make your plans. 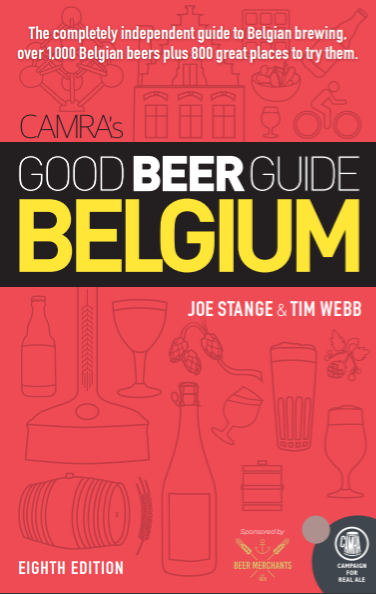 Cheers to Paul, Stephen, and the rest of the CAMRA gang in Brussels. Paul was kind enough to hand me an '05 Stille Nacht Reserva as a parting gift just before I left town. And what did I ever do for that guy, except show up late and ask him to please repeat what he just said in English, rather than Yorkshire? Good people in that crew. I've managed to lay off that Reserva so far, but I don't expect it to last through Christmas. For now it's one of the 11 best bottles of beer located in Costa Rica. Nine more are in a box in my closet. The 11th is in Cartago, waiting for a brewery opening. Anyway: All the best to any of you who will make it to Hasselt for the Bierweekend, which kicks off at 6 p.m. Friday. You can peruse the list here. As usual it's loaded with lots of new and unusual beers you won't find at other festivals. Hasselt can be a ticker's dream... especially since the waiters bring the beers around to you. Very relaxing. Let me know about that Finesse from Dochter van de Korenaar. Or anything, really. All reports welcome, anytime, especially if they come with photos. 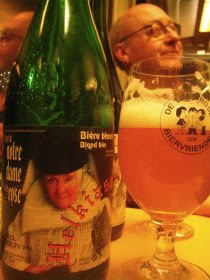 Finally: Fellow Belgophile and beer writer Chuck Cook is expanding his presence with a new blog here, with some interesting geuze news. Yves Panneels from the Insurance Against Great Thirst lambic café in Eizeringen is helping to organize a combination geuze-blending workshop and five-course beer dinner with Chris Lively of Ebenezer's in Maine. Only 30 folks will be able to attend the event on Friday, December 10, at Eizeringen's restored castle. Not sure yet what it will cost. Sounds classy though. with a touch of Brett. - Noblesse 5,5 % 'just' the ordinary Noblesse to kill the thirst. I can assure you , it'll be worthwile. Wonderful! Thanks for the update, Ronald.